The style we practice here is called Okinawan Goju Ryu Karate Do. Goju means hard soft, employing both "hard" direct striking as well as well as "soft" redirection and circular movements. 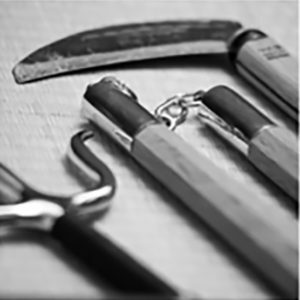 The Bushinkan dojo is proud to carry on the traditional Okinawan weaponry called Kobudo. Weapon training is available for intermediate students. There are several types of traditional weapons taught. Was Mr. Miyagi real? You bet! 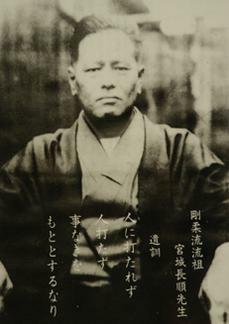 Miyagi Chojun Sensei is the founder of Goju Ryu karate. Learn more about the history of this traditional Okinawan martial art. 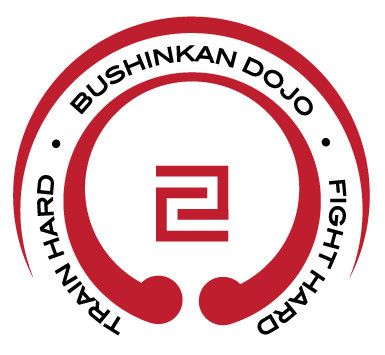 We are a small dojo that values effort and integrity in training. 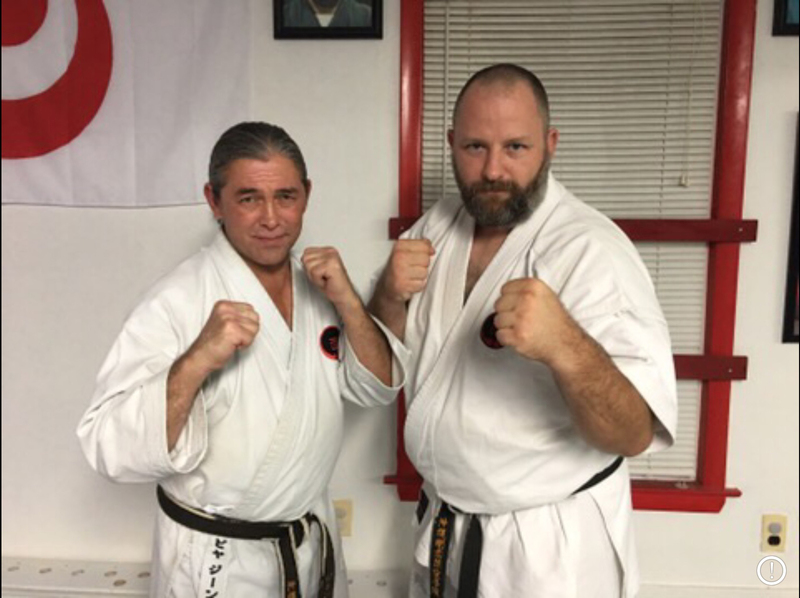 Classical Okinawan Goju Ryu training is challenging by design utilizing old world methods for strengthening the body and forging the spirit. We are not a sport oriented style. Okinawan Goju Ryu is a system born out of a need to survive and stresses practical applications and efficiency of movement. That said, we do occasionally participate in sporting events to test ourselves. While sport has limited benefits, those benefits are important to the individual practitioner. 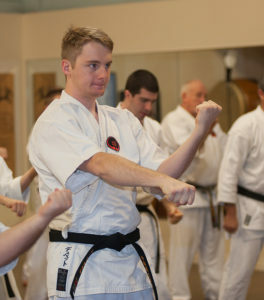 Okinawan Goju Ryu training benefits the mind body and spirit. The study is both demanding and rewarding. Come to our small traditional Dojo, meet Sensei, see what Bushinkan Dojo can offer you..